GreenArrow Engine and Studio are able to use multiple domain names for click and open tracking. The domain that’s used for click and open tracking can be set by selecting a value from the “URL Domain” drop-down menu in GreenArrow Studio’s web interface, or through GreenArrow Studio’s API. 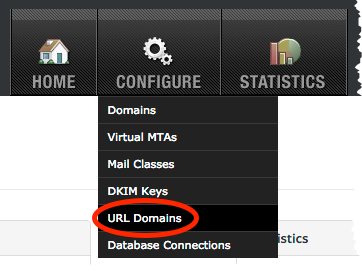 This document describes how to configure these URL domains.